The children went back to school today, the sun is shining and Mr Soaring Sheep is going to collect our new car later today :-D Although just been on the phone for an hour sorting out an extension to our overdraft as our monthly credit card bill came out a few days early and we're still waiting for the insurance pay out for our old car. What a pain in the bum. I treated myself to some new yarn during the half term holidays. I was still quite fragile from the hospital visits with my littlest girl and then with Mr Soaring Sheep's car being written off and then him working away all week I thought I'd indulge. It's another ball of Hayfield Bonus Aran which I used for the Spun Sugar cardigan I've just finished making (photos of that to come later in the week hopefully). This colourway is appropriately named "Tulips" which is rather Spring-like. It will become some sort of garment for one of my girls at some point. No idea what yet though. 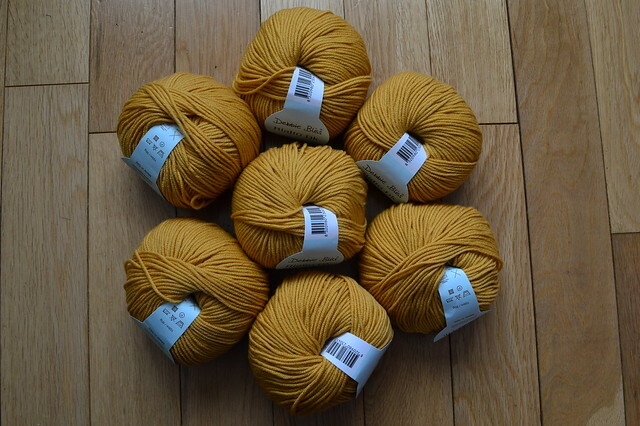 The other yarn I treated myself to was some reduced Debbie Bliss Rialto DK in the Mustard colourway. 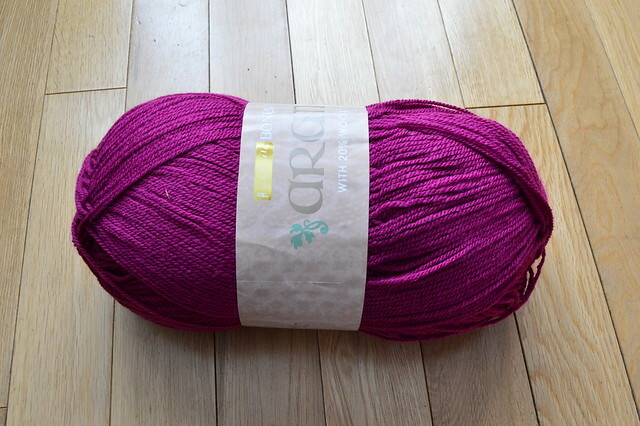 I've had a hankering to knit something in this colour for a while. 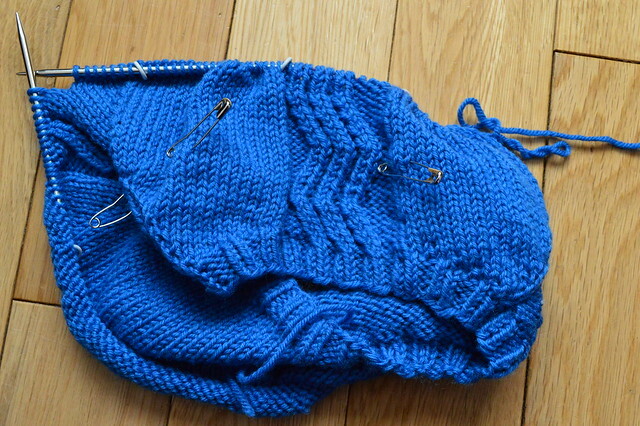 I expect it will be a cardigan for my littlest girl but it depends. It's not really a colour that suits me or my children's colourings but I think my blonde girly could probably carry it off. 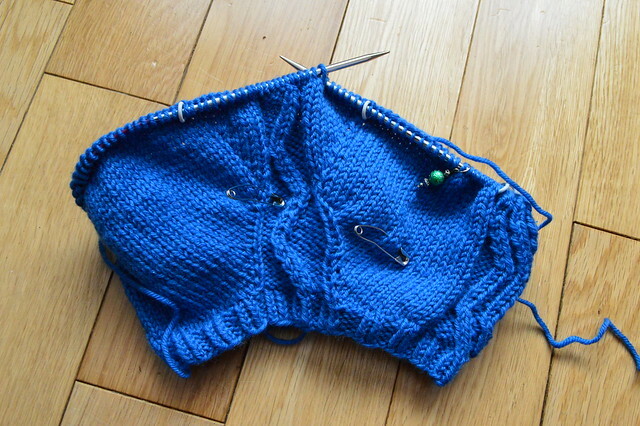 The rounds are getting slower and slower at the moment because I'm doing the increases for the sleeves. Hopefully in the next couple of days I'll be able to separate the sleeves off and speed up a bit. Late winter is a good time to treat oneself to yarn. I love that pink color. If I could knit only in one color, that would be it! I don't blame you for picking up more yarn after having frazzled nerves from the car and your princess's injury. I 😍 the mustard! Totally coveting it.